The Dutch companies Dematec Equipment and Bijlard Hydrauliek were involved in the construction of the bridge. The Netherlands intend to verify the legality of the participation of two local companies in the construction of the bridge across the Kerch Strait, according to the Minister of Foreign Trade and Development of the Netherlands Lilianne Ploumen, the NOS television and radio company informed. Reportedly, Dematec Equipment and Bijlard Hydrauliek, according to media reports, were engaged in the construction of a bridge in the Crimea. According to the De Gelderlander edition, the company Dematec Equipment produced machinery for building the object, and Bijlard Hydrauliek supplied components for it. In turn, Director of Dematec Equipment Van den Heuvel said that his company did not violate the sanctions, as the construction was conducted on the territory of the Russian Federation, and the Head of Bijlard Hydrauliek Marcel Bijlard claims that he was not aware of the fact that the parts were used for the construction of the bridge. 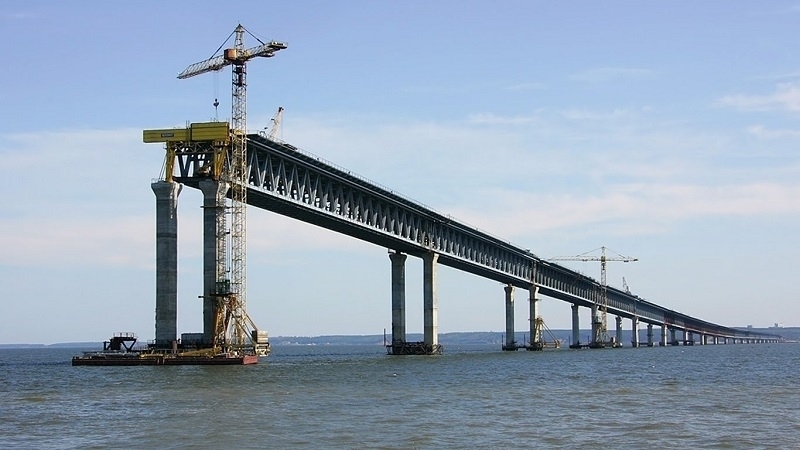 Earlier QHA reported that the Ministry of Infrastructure of Ukraine believes that the use of the bridge will result in a significant reduction in calls of ships in the seaports of Mariupol and Berdyansk, which, in its turn, will lead to reduction in turnover and affect its development. Building a bridge across the Kerch Strait, Russia limits the passage of vessels to the ports of Mariupol and Berdyansk in dimension. Vessels of 33 meters or more in height are not able to pass the strait since August 2017 already.